Ayurveda translates as the 'science of life'. The history of ayurveda is fascinating and a little more complex than I had imagined. I therefore have to start with a disclaimer and say the series is not really about Ayurveda as a practice, I am only skimming the surface by talking about the hair products used traditionally in India. Ayurveda appears to be a holistic approach where the state of your hair could be connected to the condition of your bowel or the state of your mind (modern medicine would probably agree). I do suggest if you are truly interested in Ayurveda, then do your research and learn more on the lifestyle. 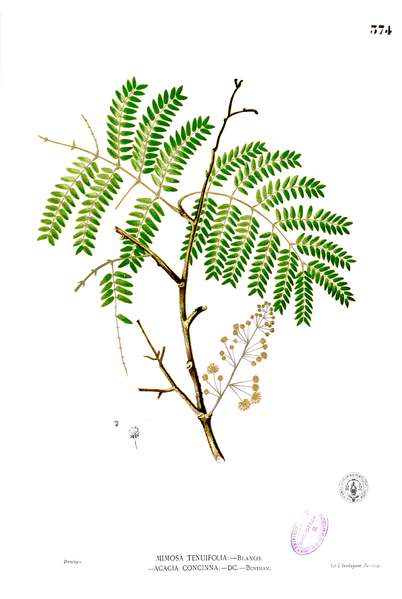 The first post today is Shikakai or Acacia Concinna which is a traditional shampoo. 1. Saponins - The name sounds a little bit like soap (hint!). Saponins tend to have a foaming effect and are detergents hence they are soap like (Int J Toxicol., Suppl 3, pg75-118, 2005). 2. Alkaloids - No hints with this one. Alkaloids can have various functions and unfortunately I cannot find what alkaloids would do in Shikakai (Int J Toxicol., Suppl 3, pg75-118, 2005). Presently the focus appears to be on the saponins. Is there evidence that Shikakai is medically useful? Yes, extracts of shikakai (the fruit pod) have been found to have some antifungal properties related to the saponins found within it (Global Journal of Pharmacology 3 (1): 06-07, 2009 and Int J Cosmet Sci. 5(1):1-5, 1993). I could not find the pH of Shikakai anywhere, if you have some, buy some pH strips and let us know! The safety of Shikakai is not known currently as despite millenia of use, scientists haven't got round to assessing it yet (millenia is my bit of exaggeration!). True Ruth, alkaloids do tend to be alkaline on their own. However coffee which is slightly acidic actually contains caffeine which is an alkaloid. Therefore even if a substance contains an alkaline component it may not be overall alkaline. I did read various anecdotal statements that say shikakai has a low pH but none of the websites actually quoted a number or a source. Hopefully someone will have some and will test it for us! the longer I stay natural, the more lazy I become. I just make sure to get a few products that have ayurvedic ingredients...great post as usual! What do you mean when you say 'Saponins are soap-like'? Does this mean it wouldn't be a good idea to use a Shikakai shampoo in combination with hard water? I am toying with the idea to try some of the Khadi products. Yvonne - Well sapoonins behave like soap. Soap derives its effect from surfactants. Saponins do not have the same chemical composition as surfactants but do behave in a similar way - i,e able to remove oils and create foam. So strictly speaking saponins are not exactly soap but behave like soap. I think hard water makes soap and shampoo difficult to use. I would consider a water filter. many of the plants having saponin glycoside in it, then why ayurveda has choosen only shikakai and aritha for the cleansing purpose. Likely because that's what was native to them. Soapwort doesn't grow natively in India, ya know? Doesn't mean other stuff won't work. But everything in Ayurveda will, of course, be focused on stuff they had available to them.